When my son was diagnosed with a severe communication disorder, and labelled educationally autistic by the school over 15 years ago, I had to dig and dig to find autistic adults who had also been given the label as a child. All I knew about autistic adults was Rain Man. Once I met Amanda Baggs and Larry Arnold, my heart eased somewhat...they were really good people, and I would be proud for my son to turn out as they did. The heart is the most important thing to me. Julia Bascom came to my awareness with a wonderful essay she wrote, juststimming(dot)wordpress(dot)com/2011/10/05/quiet-hands/ (I'm not sure Amazon allows links.) Then the Loud Hands project began, I contributed a little. How wonderful to be a part of something far larger than ourselves. Autism experts today believe in abusive tactics (sometimes behaviorism is abusive. Not physically, necessarily,but it kind of discounts the humanity of an autistic individual...in essence, treats them as an animal trainer would treat his charge. Oops, maybe I shouldn't have said that. Anyhow, there is no curiosity about what is inside.) Other's belittle the way they walk and/or talk, still, very special experts call them evil, lacking basic human instincts. I'm glad my son wasn't born in this day. The "experts" would scare the @#$% out of me. Thank God for Temple Grandin, and Donna Williams, who had written the only books I read about true autism experts...the autistics themselves. I tried reading the PhD stuff...ech...dry as old bones. This is a living book, a testament to the humanity to a group of people others choose to treat inhumanely. The other books are written by the prison guards. These are the prisoners. Their crime is being born with a neurological difference that sets them apart. You will not be unchanged. It's critical the non-disabled world, parents, siblings, teachers and friends, shift perspective and understand the experience of autism first hand. This brilliant book takes you there to deconstruct all the myths and prejudice we all hold before we love someone who tells us how it really is. ★★★★★Must read to save lives! This is one of the best books I've ever read. A must for people with autism and people who love or support them. I'm a 30 year veteran in the disability world, so best is a real achievement. I absolutely loved this book. The essays are well-written and compelling, self-advocacy at its best. 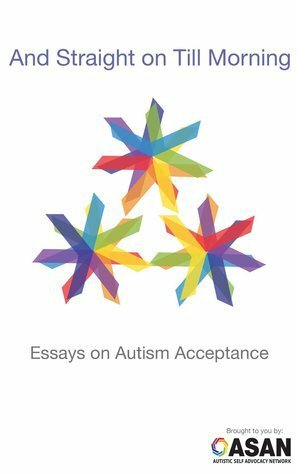 An excellent read, particularly for the non-autistic community at large.